Wanna get some good lulz around the office? 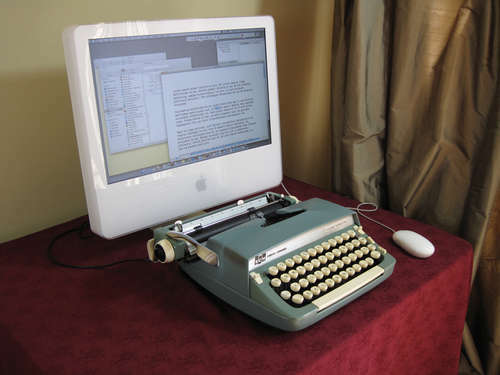 Convert your parent’s old typewriter into a USB keyboard. That and the ol’ stapler in a Jell-O mold prank.